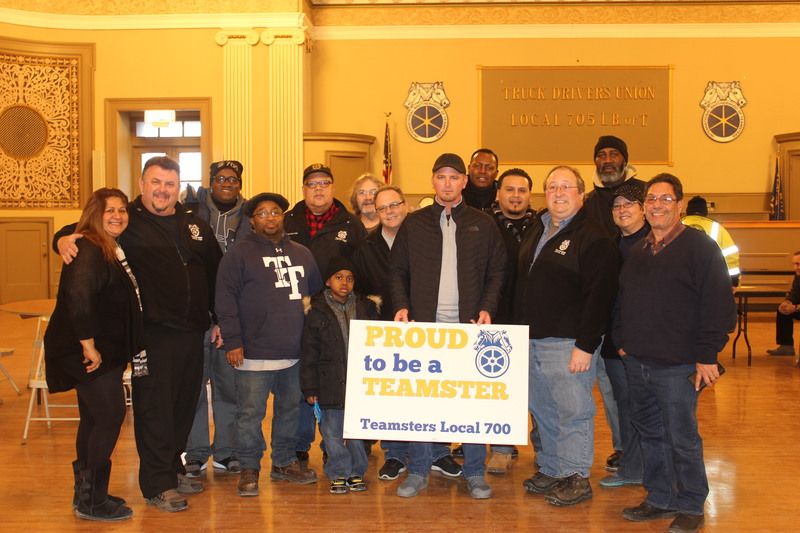 Teamsters Local 700 members that are employed with the City of Chicago have voted to ratify a new five-year contract that will now go before City Council for final approval. Once the contract is approved by the City, it will become retroactive beginning July 1, 2017. Nearly 1,000 members came out to cast their vote on the tentative agreement on Sunday, Jan. 14 at the Teamsters Local 705 Auditorium. The final vote to ratify the contract was 544 to accept and 449 to reject. Teamsters Local 700 represents more than 2,000 union members that work in the City as Motor Truck Drivers, Booters and Garage Attendants. The road to a new contract began well over a year ago when Local 700 began soliciting contract proposals from the entire City membership. After more than six months of meeting at the bargaining table with the City, the parties were able to reach a tentative agreement last weekend. Upon reaching a tentative agreement, a strike authorization vote was averted. Complete contract books will be made available to all members once the City has approved it.